A Hawaiian themed wall centered around the dance of Hula. 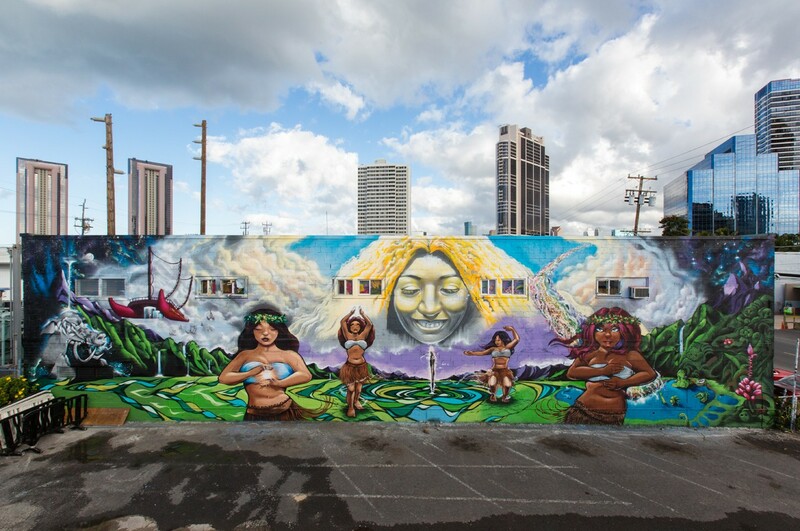 Painted by Prime, Estria, Mark Bode, Trek6, Mike Bam and Ian Kuali’i. It’s located in the parking lot of Fresh Cafe at 831 Queen street.